I’m not going to pretend to be a big reader of romantic fiction. Until I read Kim’s previous story Buying Mackenzie’s Baby I think the last (and only) book that might be classified as a romance was A Town Like Alice by Nevil Shute for GCSE English. However BMB was not what I was expecting and certainly not the cliche that the naked torso covers of many of these novels made me expect. It was more of a modern day story about two people and the complications and deceits their friends and families inflict on them. I’m not going to say it was the best story I’ve ever read but I did really enjoy it. 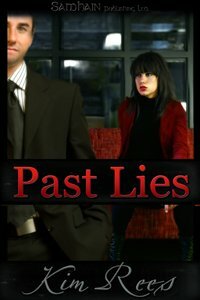 So I just bought the PDF of her latest story Past Lies and I’m looking forward to reading it. Thank goodness for the Internet – with all the naked torsos on display on the My Book Store and More site I’d have probably been to buy it if it was a real book shop. The heaving bosoms that M&B novels always seemed to feature alongside the manly torsos on the rickety rotating stands in Oxfam shops seem to be absent from their cover art. Tried to comment on your WW, but there is no comment link!! Just wanted to say that that is a beautiful photo!